One lesson they teach in a PhD program: think strategically. In most of undergrad (and even masters-level) work, the objective of the student is to “complete the task”. In other words, you write a paper or do a group assignment because you have to, in order to get a good grade. You’re not married to anything you create; you may work towards certain topics and interests, but that’s just out of an affinity for toil. Sort of like putting up pictures in the cubicle of a job you have to do to pay the bills, finding some joy in the drudgery. At the PhD level, however, you’re taught that the grand majority of your work should move you towards a higher purpose. Reading, interacting, and writing aren’t completed to get good grades; they are done to advance your work in a chosen discipline and widen your exposure in a little corner of the world. Thereby, “thinking strategically” in terms of papers involves writing a paper for a class with the potential that, one day, it could be a conference paper or a journal article. I sometimes use the analogy of World of Warcraft. Picking a major is like choosing a character class. Progressing in it is like leveling up, but choosing and refining a talent, and the deliberate thought that goes into choices after that point, is so much like PhD work. I was lucky that I had a program advisor who encouraged “thinking strategically,” so when I took her class in Language, Gender, and Sexuality, I was thinking heavily about topics that were of interest to me, that were worthy of academic discussion, and would make for a good conference paper. For the final assignment, I decided on this new phenomena I had just heard about: Bronies. What, you may ask, is that? “Brony” is a term for a subculture of men of all ages who consider themselves fans of the television show My Little Pony. Many members specifically trace their beginnings to a specific iteration of the cartoon, Friendship is Magic. These Bronies tend to gather together (either online or in person) to discuss aspects of the show, collect memorabilia, and create fandom output (such as art or fiction stories). I was fascinated by the concept of male fans of the My Little Pony television show on many levels. I was not myself a Brony, but saw elements of popular culture (and geek culture) in the phenomenon that I definitely wanted to investigate. How and why do men navigate this identity? Specifically, I wanted to concern myself with how male culture, represented by language, still remained in a group that is situated around a cartoon designed for young girls, a “feminine space”. Hegemonic masculinity is a powerful social construct, indoctrinated into men early in their lives, that dictates the appreciation of that which is patriarchal, heteronormative, and all around “manly”. My Little Pony is arguably none of these things. How do you “butch up” Pinkie Pie (who is one of the characters on the show)? What linguistic mechanisms do men use to remind others (and themselves) that they are, at the end of the day, still men? I expressed an interest in turning the paper into a conference presentation, and found the perfect venue – a conference on language that was in nearby Washington DC. My advisor thought it would be a good conference, and was buoyed by my desire to present in my second year of a PhD program, but she was worried about the topic. Her fear was that all of the time and effort I put into Bronies, as a topic, would naturally move me towards the population as a dissertation topic. Were they the population I really wanted to study? Additionally, there was the concern that work presented at conferences and in papers “follows” you; you’re labeled by the methods, theories, and populations you engage with. Even if I decided to not use Bronies as a dissertation topic, but continued to present at conferences and publish on the subculture, I would run the risk of having a CV that was all over the place, erratically investigating topic after topic with no seeming sense of focus. Added to this was the reaction I was getting from friends, family, and coworkers on my topic. The reactions were not bad or off-putting, but it was very clear that once people learned of the notorious “Brony paper,” it became the topic of conversation. 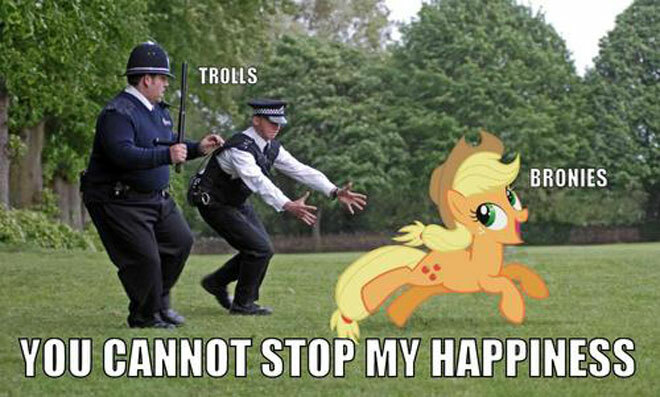 Bronies, by nature, represent a curious bunch to people outside of the fandom. The idea of a group of men who are perceived as “obsessed” with toys created for young girls causes the minds of many to race. I’ve learned that many people are quick to jump to stereotypical conclusions that Bronies are gay men, unkempt man-children, or potential sexual predators. Fear and ignorance surrounding the group has led to some drastic actions in parts of the world, and men identified as Bronies have been bullied. The perception that I had an inside track into the population led to lots of questions from others. Was I a Brony? 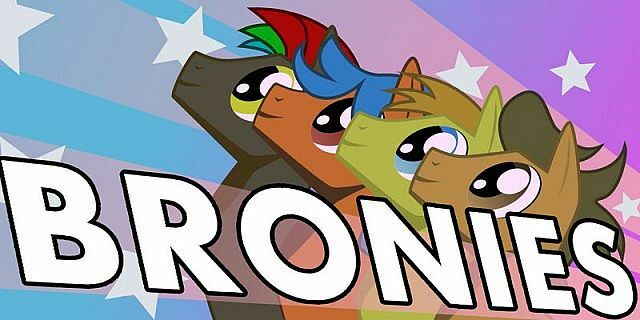 What are Bronies like? Did I do “deep cover investigation” (whatever that means)? Would I be going to BronyCon (the international convention for Bronies which is, coincidentally, held every year in my city)? It was a bit much to be introduced to individuals as the “Brony research guy,” and somewhat overwhelming given the number of “closet Bronies” who felt comfortable enough to “come out” to me (talk about your big responsibilities). The more information about my research started to insinuate itself into the public sphere, the more I thought that maybe this was a Really Bad Idea. Things changed a few months later. I decided to do my “swan song” presentation on my Brony work at the Popular Culture Association conference, thinking that after this final presentation I’d lay Brony study (and any ‘geek’ study) in a shallow grave. Once I presented, however, I was deluged with questions. Not about Bronies, but about masculinity and language (which was, actually, the point of my research). Somehow I got swept back into the idea that this wasn’t about men who like Pinkie Pie (don’t judge); it was about men who engage in language that was pretty “male” while operating in a female space (actually a young girls’ space). Bronies retained masculinity in how they interacted, regardless of the subject of their interaction. Men try to “act like” men even when discussing rainbow colored ponies. One of the threads I analyzed, for example, asked Bronies what was the most “manly” thing they do. This “acting male” represented itself as boasting about male acts (such as growing a beard), out-group humor (such as homophobic jokes), or blatantly rejecting effeminate stereotypes. My research was all the more interesting because the accepted “Brony credo” refers to unconditional acceptance and tolerance of others who might be different. My research proved that even though there was this widespread sense of egalitarianism among Bronies, some of the “locker room talk” we encounter in the dominant culture is alive and well in Brony spaces. The more I talked to other people out of my session, the more I found they were more taken by the discussion surrounding manhood acts rather than the subject matter of the population. Added to that, my research with Bronies led me to a greater understanding of how men (and other populations) can choose to label themselves as members of a subculture, even though they may face scorn. I grew to understand this type of ostracism from the dominant social culture is different than what is experienced by people who are socially separated based on race, gender or sexual orientation. I started to understand the inherent power in choosing to be marginalized, an option that racial, gender, and cultural minorities never have. (Given the nature of ”achieved marginalization” as I call it, it isn’t shocking how few racial minorities openly identify as Bronies.) It is much easier for groups like Bronies to “pass” as members of dominant culture if they choose and “inhabit” a Brony identity when convenient for them. This research has proved critical to what will be my dissertation research, which is looking at how male veteran college students are impacted by military masculinity when they have to take on the role as a college student, which is seen by some male vets as a “feminized terrain.” My research is showing that many veterans on campus attempt to “pass” as ordinary male college students, because of the marginalization they’ve associated with their military masculinity (whether it is real or imagined). The experience of the veteran on campus is both radically similar and dissimilar to the experience of the Brony, and the distinctions allowed me to contextualize how men inhabit identity in spaces perceived as dominated by women. I could never have gotten to where I am without the Brony research. The study of geek culture, especially early on, has taken me down some interesting paths. I believe my advisor’s concerns were warranted; it is too easy to get caught in a path that can pigeonhole you as a researcher into certain issues. Academics have their areas, and aspects of geek culture can be attractive, especially to those of us who see ourselves as geeks. On the other hand, in some circles geek culture (and popular culture) can be maligned as a research area, with some traditional researchers seeing the topical information as “fly by night” and impermanent. While I am very lucky to have an advisor who doesn’t believe this, I sense she is the exception in the academy, and not the norm. What I’d recommend is that you should study what you love, whatever it is that you love. Like my advisor herself said, research is something you are going to stick with for a while, so pick a population that not only interests you, but won’t become a chore to study in a few months/years. 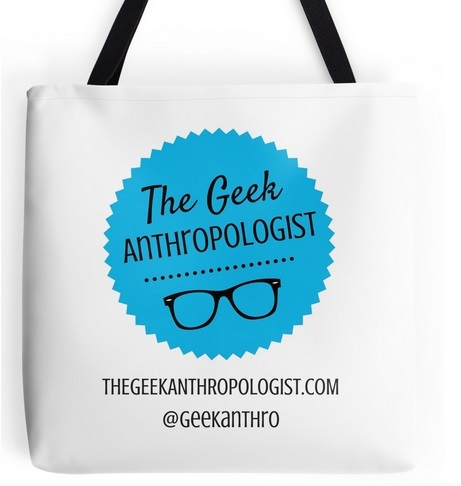 Even if the study of geek culture (“geekwork”) isn’t your main topic, there’s absolutely no harm in doing some research and seeing what you find. There’s a high likelihood that geek culture and other work you do are connected; I’ve found that to be repeatedly true. There are so many intersections between geek culture and dominant culture that are worthy of study, topics where the surface has barely been scratched. We should be the ones to break open those doors and start the investigations. Yes, you might face some turned-up noses or shock given your population of study, but scrutiny is all a part of the field we choose, right? If your experience is anything like mine, expect to have your mind blown. And no, I’m not mad that this epiphany was brought about, in part, by a purple horse and her fans. Steven Dashiell is a PhD student at the University of Maryland Baltimore County (UMBC) in the Language, Literacy, and Culture department. His dissertation research investigates masculinity constructs and cultural identity of male students who were in the military. His research interests involve the sociology of masculinity, popular culture, narrative analysis, and linguistic anthropology. He has presented his work at several conferences, including the Popular Culture Association, the American Men’s Studies Association conference, Eastern Sociological Society meeting, and the American Sociological Association. In addition to his doctoral studies, Steven works for Johns Hopkins University as a Research Outcomes Coordinator. Beyond the military, Steven has done research on Bronies, role players, and card gamers. He can be reached at steven.dashiell@umbc.edu. Disclosure: Header image taken from Planet Minecraft.